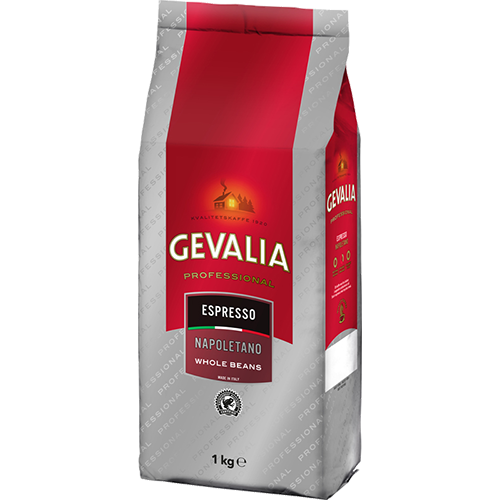 Gevalia Professional Espresso Napoletano coffee beans is a dark and intense espresso blend with typical Neapolitan character. The blend of arabica and robusta beans are roasted hard to get the strong, rich taste. This is the perfect espresso for a more used espresso drinker and a coffee that gives strength and flavor to a cappuccino or coffee drinks.